With 26 years of accounting and consulting experience, Steve Johnson currently works as an audit and business advisory partner with McGladrey. Steve leads a private equity and SBIC group that provides audit, tax and consulting services to more than 80 buy-out, venture capital and mezzanine funds. Steve has experience in the private equity, venture capital, manufacturing, software development and professional service industries. He has been involved in merger and acquisition due diligence and operational reviews and evaluation. Steve has been a guest speaker for the National Association of Seed and Venture Funds, the Small Business Investor Alliance, the Illinois Venture Capital Association and the Illinois CPA Society’s Accounting and Auditing Conference. 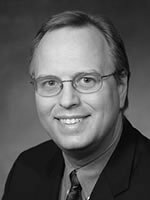 Steve is a member of the Illinois CPA Society and is a past chairman of the Illinois CPA Society’s Accounting Principles Committee. He is a member of the American Institute of Certified Public Accountants (AICPA), the Small Business Investor Alliance (SBIA) and the Advisory Board of the Private Equity CFO Association. Steve earned a Bachelor of Science degree in accounting from Dominican University and has completed the Business Advisory Program at the University of Chicago Graduate School of Business.